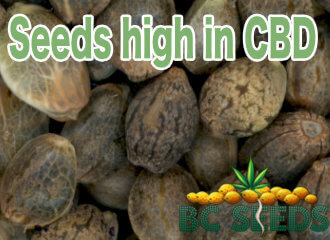 Seeds high in cannabidoil | You can grow your own CBD seeds through acquiring high CBD strains. Seeds high in cannabidoil. Cannabidoil or CBD is a chemical in the cannabis plant that has potential for treating medical conditions. CBD is non psychoactive and is usually extracted from cannabis types low in THC or from hemp growers. You can grow your own CBD seeds through acquiring high CBD strains. Top quality cannabis seeds are not cheap. They usually start at around $10 upwards each. You can pay well over $100 for a pack of 10 good quality seeds. They are so expensive because growing cannabis is still illegal in many countries. Another reason is demand far exceeds supplies. Right now with legalization going on, everyone is scrambling to buy cannabis seeds. The demand is actually insane at this moment in time. But most importantly any cannabis plant used for seed production instead of bud production doesn’t result any any decent bud for sale. Basically, you can’t sell sub-grade bud from plants used to grow seeds. You see, when you grow seeds, all the trichomes that would be in seedless but, go into seed production. That means a plants used for growing seeds doesn’t have the trichomes seedless bud has. So when a grower decides to grow seeds instead of bud, he still needs to recoup this decision, so the costs of seeds are directly related to the costs of bud. A more expensive and popular bud will also have more expensive seeds. It does not take long to grow a crop of seeds for commercial reasons now there are large scale breeding programs. But you have to add the cost of genetic testing for the desired traits so the grower knows what they are selling. When you grow cannabis illegally you need to keep production small. Cannabis grown on a small scale costs more because of inefficiencies. It’s impossible to reach maximum productivity on a large enough scale to bring down the price of seeds. Combine this with threats of legal action if caught, it is not hard to see why cannabis seeds are expensive. Keep in mind that generally the more expensive the seeds, the better quality the buds. Just buying top shelf seeds does not guarantee good quality, you also have to grow them organically and with care. The industry still operates without any regulations and can use potentially dangerous chemicals and fertilizers. It’s always best and safest to grow your own CBD strains yourself. i always wondered how seeds got their prices but I wanted to know more about CBD content in seeds, can you expand more about this please?